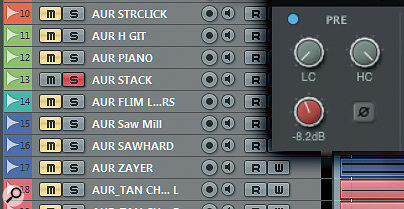 Could this neat but powerful little trick save you time and frustration on each and every mix? OK. Nobody wants to go for the nuclear option, particularly if it’s a promising track and artist. So how do you make sense of it all before you can begin to mix? The first and foremost process for any engineer to perform is what I call a ‘level and pan mix’: a stage during which you establish the initial gains for each source and create some basic separation through panning. You end up with a kind of rough, static balance that, later, you can go on to refine with dynamics processing, automation, mutes and all your own neat little mixing tricks. But there is another way, which is quick, pretty easy and, surprisingly, fairly accurate: instead of referencing a source from within your mix, you use a pink-noise generator to provide your level reference and balance each and every track to that, one by one. It might sound like crazy pseudo-science but it works — and in this article I’ll tell you why and then prove it. I’ve already said that you should use pink noise as your reference, but what makes pink noise so special? Why not white noise, for example? After all, white noise is the one with a flat response, right? Well, yes, it’s true that white noise has constant energy right across the frequency spectrum. But while this might make it useful for measuring audio equipment, it means it’s of naff-all use for mixing. Why? The human hearing system’s frequency response is not linear but logarithmic. In other words, we judge pitch increases by octaves, not by equal increments of frequency; each successive octave spans twice as many Hertz as the previous one down the scale. And this means that when we listen to white noise, it appears to us to increase in level by 3dB per octave. A more ‘human-friendly’ distribution of energy results when we filter white noise so that it loses 3dB per octave (going upwards). Each octave then contains the same amount of energy as the next one — so it sounds naturally ‘balanced’. Well, this is precisely what pink noise is. 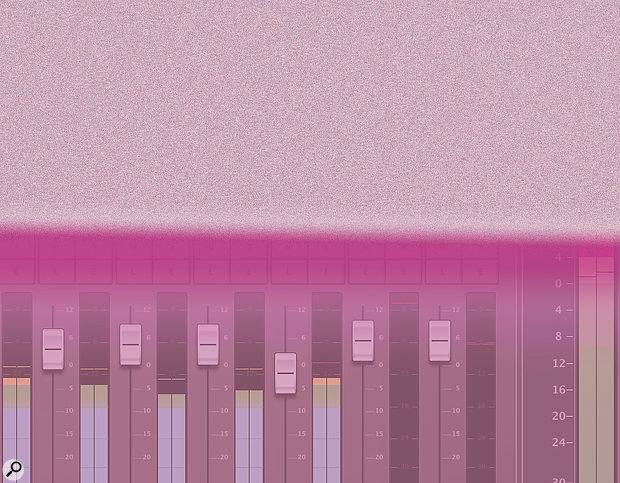 So, how exactly do we make this pink noise work to our advantage when mixing? The idea is that you use a noise generator (I’ll recommend a free one in a moment) to create the pink noise, and calibrate it so that, at the stereo bus, it registers a sensible average level for mixing on your meters. With the noise level set, you solo your first source, so that it alone plays alongside the pink noise, and balance it directly against the noise by ear. You’re aiming to find the level at which the source is just barely audible above the noise, but not hidden. Then mute that source, solo the next one and repeat. And go through each and every source in the same way. Take away the noise and you’ll have your basic level mix. That’s just an overview, though. Now I’ll take you through things step-by-step. To establish the level of the noise — and thus that of your ‘level mix’ — you’ll need to use an averaging meter. 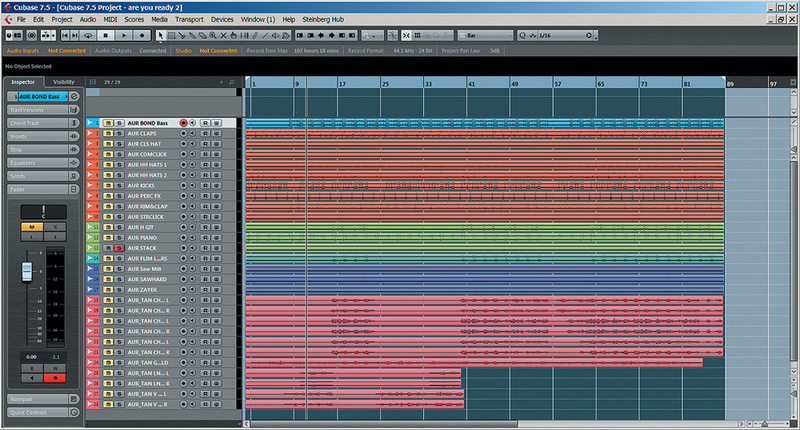 Here, the K-14 option has been selected in the Cubase master channel meter, placing 0 at -14dBFS. You can see that with the noise generator set at -11dB, the peaks are reading at or around 0 on this scale, while the average (dark line) is around -9 or -10. Over on the left, you can see the standard peak meter, with the zero at 0dBFS — we’re left with about 11dB of headroom to play with during mastering. First, you need a noise generator plug-in. The freeware MDA TestTone (http://mda.smartelectronix.com/effects.htm) is ideal because it allows you to pass the incoming audio signal through unaffected — and this means it can live in an insert slot on your master stereo bus, avoiding the need to set up more complex routing, or to insert noise generators on multiple tracks. Furthermore, it can live, bypassed, on the stereo bus for the whole project and act as a useful sanity check for your mix balance later on (if anything’s leaping out very far above the noise, it’s a sign that it may require your attention). The whole MDA plug-in suite, which includes some other useful freebies, is available for Windows and OS X but it comes in VST format only. That’s fine for most DAWs, but Logic and Pro Tools users, for example, will need to find a wrapper of some sort or a suitable alternative noise generator — the basic principles remain the same, though, so you’ll still be able to follow the example. I hope you already know that you should be leaving ample headroom on your master bus when mixing (you can add make-up gain and perform any desired loudness processing later if you need to, but for now we’re interested in maintaining headroom and creating a nice mix with a good dynamic range). So before we start riding the faders and generally enjoying ourselves, we need to calibrate the noise so it provides a sensible reference level to allow for this. 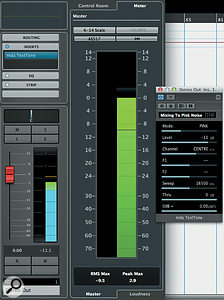 If your DAW doesn’t feature a K or other RMS-type meter, you can place an insert plug-in on the master bus. Pictured here is Meterplugs’ K-Meter, which is perfect for the job. We’re really concerned with the RMS (average) level, rather than the peak. Peak metering has its uses, but we don’t need to worry about peak transients tripping compressors and so on. Some DAWs have RMS meters on the master bus, some don’t, so you may need some sort of meter plug-in. I use Cubase, which doesn’t display RMS on the main stereo bus channel but has a dedicated master channel which can display all sorts of useful information. To keep things simple for users of other DAWs, though, I used Meterplugs’ K-Meter (reviewed in SOS October 2014: http://sosm.ag/kmeter) in the example. Each channel has both peak and RMS meters, and I can recommend this plug-in for its sheer simplicity and elegance. If you want to follow step by step, place TestTone in an insert slot of your stereo bus, and K-Meter in the following one. Set TestTone’s Mode slider to PINK, to generate pink noise, and make sure the Channel is set to CENTRE (so that it outputs in both the L and R channels — it should be on this setting by default). Leave F1, F2, Sweep and ‘0dB =’ alone. Now it’s time for you to set your project‘s reference level. Use TestTone’s Level slider (I’ve found that there’s a bug whereby if you type in the text field it doesn’t work) to set the noise to a level that’s not too loud, using the meter. In my example, I opted for the K-14 metering scale on K-Meter. This places the zero 14dB below digital full scale — in other words, there’s a whopping 14dB above your zero ‘target’, which guarantees that there’s acres of headroom when mixing. With this system in place, you don’t have to worry about what all those individual channel meters are doing, or about overloading the mix bus while mixing. You’re aiming for the pink noise to generate a sensible meter reading that sits well within the headroom. I found that setting TestTone’s pink noise source to -11dB gave me an RMS level of somewhere around -9dB on the K-14 scale, with the peaks hovering around the zero mark. I’ll take you through the rest of the process by describing how I used it for an R&B track called ‘Are You Ready’, by GAM Productions. It has a relatively modest 28 tracks to work with, but even then it took me less time to conduct my level mix that to read this far into the article. Just as when setting up any mix, before tweaking any track levels I did a bit of housekeeping. I grouped and colour-coded all the channels to make project navigation easier. The groups can help if you’re working with multi-miked sources too, as when you’ve balanced your mic signals, you can simply solo the group instead of each individual track. If you know that things are going to live mostly on the left or right or in the centre of your mix, you can set the basic pans at this stage too. I left all of the channel faders at unity gain, as this makes the later stages of mixing (automation in particular) easier. 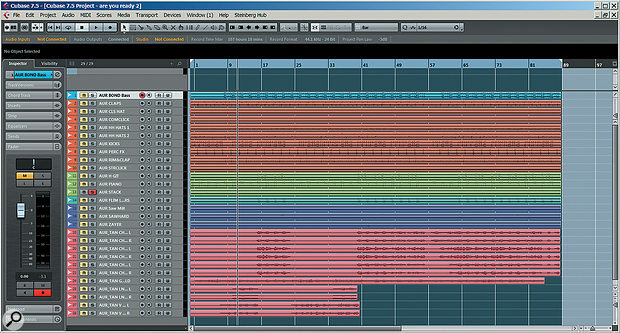 Instead, I used Cubase’s built-in channel input gain function to balance each individual channel/sound against the noise. If your DAW doesn’t offer channel gain, you can insert a gain plug-in in the first insert slot (Blue Cat’s Gain Suite is a good cross-platform freebie), or if you’re dealing with continuous audio, you can use the clip volume on the arrange page. Soloing each track in turn, you use the channel gain trim (or gain plug-in if your DAW doesn’t have one) rather than the fader — which you’ll want later for automation — to balance the track against the pink noise. I also set up my project for ‘solo exclusive’ operation, whereby when you solo one track it disables any other solos in your project. This isn’t essential, but it does help to prevent errors. After all, I’m only interested in mixing one channel/group at a time against the noise; I don’t need to hear any additional channels. The next step was to start setting the channel levels. I took each channel in turn, and adjusted its gain until I could just about hear the source poking through the noise. The process is that simple: if it sounds a little louder than the noise then back off the level, if you can’t hear it at all, increase the gain. The one complication is that certain frequencies and types of sound will cut through the pink noise just a little better than others, so you’ll need to take into account each sound’s characteristics when mixing to noise — this becomes instinctive with a tiny bit of practice. A good example of a problematic sound is a sub kick. Quite often, the low frequencies seem masked by the noise and so it seems tempting to boost the channel gain. You need to fight that temptation: as long as the kick is audible, the process will take care of the rest. The same problem occurs with high-frequency sounds, hi-hats being a prime example. Balance with this in mind. 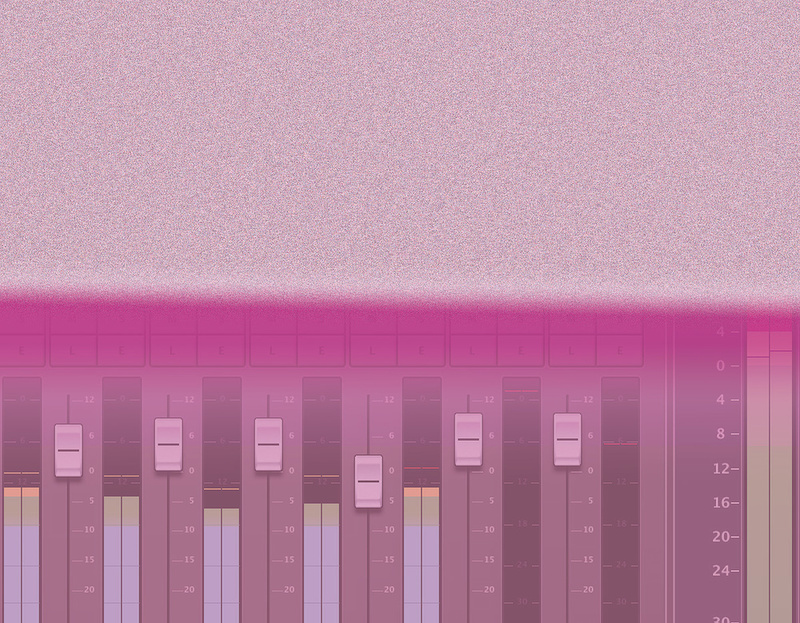 I also often find that it seems to work best if you leave the send effects (like reverbs and delay) muted while performing this pink-noise level mix, and add them in later to finesse things as you mix in earnest. If in doubt, while you’re trying this technique, attempt it both with and without your send effects and see what you think. Finally, the area where many people trying this technique seem to get stuck is vocals. The problem is that vocals are quite dynamic: even the most consistent performance will have louder and quieter sounds within words and phrases. The trick is to focus your ears not on the ‘attack’ phase of the vocal sound, where consonants and more pronounced note-onsets are usually more easily detected, but instead to make sure that the whole vocal line is heard under the noise. The audio example provided with this article (see box) is a quick mix of this track, which included 28 tracks. The level mix, which left plenty of headroom for further processing and automation, was performed in four minutes. When you’ve done all this, switch off the pink noise generator (bypass the TestTone plug-in) and listen to the balance. It won’t be perfect — you might want to nudge a couple of faders for any problem sounds, and you’ll still have to do all your processing, automation and other mix tricks. But you should find that it has put you quite a way along the right road very quickly. Now you can get on with the fun part of mixing — and if you manage your channel gain structure correctly while processing your individual sources (EQs with a constant-loudness function such as Tokyo Dawn Slick EQ and lkjb’s Luftikus can be a real help here) then you should find that you need to do even less tweaking of your channel faders than normal. I’ve placed an audio example of the track I used to demonstrate the pink-noise technique on the SOS web site at the address given below. I conducted a basic level mix and nothing else — no pans, no effects or dynamics processing, but it took me only four minutes!